2x R12SW or 1 R112SW ?? I do not have side or back surrounds yet, later to come. help me decide thank you ! I use my system for music, lots of music, sometimes video watching or even gaming sometimes. I have a Onkyo 7.1 Ch am I able to use a Y splitter to put 2 LFE cables in and run them to the 2 subs? Yes, that's exactly how you do it. My subs have a line in and a line out so you can daisy chain multiple subs but my previous Velodyne HGS15 I had to use a Y Splitter to connect two subs to the receiver. Get the two subs. They will be better than one. Do you have a Frys Electronics up there? I'm in WA, across the BC Border. Once in a while, Frys has the R112sw for $399 USD. got the R115sw for $429 USD. That being said, the R12SW is a better unit, IMO. The 115 fills my 15x20' room with really low slow rumbling bass. I miss the 12sw I was using. It has the well defined and sharp punch that's missing. @hgdevin if you are in ontario, there is a pair of svs pb12 that imho will be better than the klipsch subs from bestbuy. At 588 i take a 115sw hands down. I had the R-28Fs and a 10SW, so I'm understanding what you're considering. The R-28Fs can go down to about 30hz on their own in a room. That's roughly what the 12SW can do (better than the 10SW can do), although of course there are some benefits to a sub beyond extension. (placement, SPL, sound quality, distortion). So buying a 12SW or 2, would only give you the benefit of being able to place them somewhere else beyond your main speakers and taking some load off of them (which, they are more than capable of handling anyway). So I don't like this option, and yes I had basically this option before(r28f, r25c and 10sw) (replaced with 4 Infinity car subs, another story). As a music guy you will get by just fine with a 112SW which digs down to 24hz. That's a good low end for music listeners with the exception of some hip hop and EDM which when bass heavy can go far lower. IF you like movies, shows, or play serious video games (like me) and like good explosions and dynamics, then the 115SW becomes a better choice, it digs down to 18hz. You really don't need this for music, but will benefit from it for movies and games. The problem you can run into in this hobby is chasing after something when you haven't really planned out what you are chasing after. RIGHT NOW those R-28Fs can dig low enough for most all music. If your Onkyo has some form of autocorrection (Audyssey or simliar) then that will help flatten the low end response of the mains. The main benefit of those big R-28Fs is the low end they can reproduce and do so with low wattage. My gentle advice would be this -- first decide if you really need a sub at this point. Now, this is from a guy with 8 in his systems, so I love subs, but do you need one? Next, assume you do...then can you see yourself ever wanting to hear just about everything in every movie? Then you may want the 115SW. Can you ever imagine yourself wanting to upgrade beyond your R-28Fs and R-25C? If so, then buy for the long term when it comes to subwoofers. Buy the bigger one for now, get a second way down the road if and only if and when you really feel you want or need it. That would usually be to smooth out response over a large seating area. If you are mostly by yourself watching/listening you may never need a 2nd sub (or a first). A critical point to understand about subwoofers is that unlike the rest of the speakers in a setup, there is absolutely no requirement (and little benefit) that the subwoofers be from the same manufacturer, or the same line within a manufacturer, as your other speakers. That is to say that the tonal quality of the subwoofer does not need to somehow match the qualities of the rest of the speakers. There is most definitely a QUALITY component to how well built, how powerful, how durable and how clearly a subwoofer can perform...but there is no requirement to make sure it's a Klipsch, or a Klipsch Reference Sub. 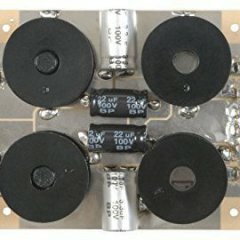 So if you do buy a quality Klipsch sub now, you can use it in the future with any speakers you have, Klipsch or otherwise, with no "penalty" or downside to it. I like this response, I'm really considering the 115SW but it is a little pricey (1,400$ CAD on the klipsch site) and is not available on Best Buy(.ca) so I have to buy online only. Seen it on eBay or amazon for about 900$ open box or refurbished by manufacturer. I'm a bit of a bass head especially when it comes to deep lows as well. Does klipsch usually offer specials on these higher-end products? Cannot talk much about the 112, but i am having r125sw for a while. I don't really like sounds since it has lot more output in the upper bass. The sounds really boomy no matter where i sit. Could not tested it on other room, but maybe you have some suggestion to make it better? Evan put the sub in your actual seat play some bass heavy music and move around the room listening where it sounds best. Put the sub there, go back to your seat and see if its better. Yes but i dont know how it works in Canada. If you have trouble finding one at a good cost consider a different brand of sub or even diy. Dont stress and dont overpay! Svs has some nice deals too. I remember owning a R12SW back a few months ago but I returned it to get the R28F's, it was a little underpowered I find when I would crank the volumes pretty high the subwoofer itself started to maintain a volume while the polk towers I had would keep going on up. Would I still have this with the R115SW? I don't think so since the R 115 SW is a much more powerful sub. As for a speaker or sub not keeping up with the other, it is not a well matched system. Size is not everything since two 12 in. subs can have vastly difference performacne qualities just like similar sized speakers. I would also like to mention a few things along the discussion of some towers going as low as some subs. This may well be the case but, woofer and subwoofer should not be equated or mixed up. They are different beast. A woofer can cover a large portion of the frequency spectrum, 20 Hz to 5000 kHz. A subwoofer will cover 20 Hz to 2-300 Hz. Due to box design, a subwoofer can move more air than the typical woofer in a tower speaker and have lower distortion. Most subwoofers will not change in SQ with in their passband. This is not the case with a woofer. A woofers SQ will get much worse at the extremes of it's passband.